Quilt Kit with Applique includes all fabric for top and binding. Quilt Kit with Applique does not include pattern, batting and backing. 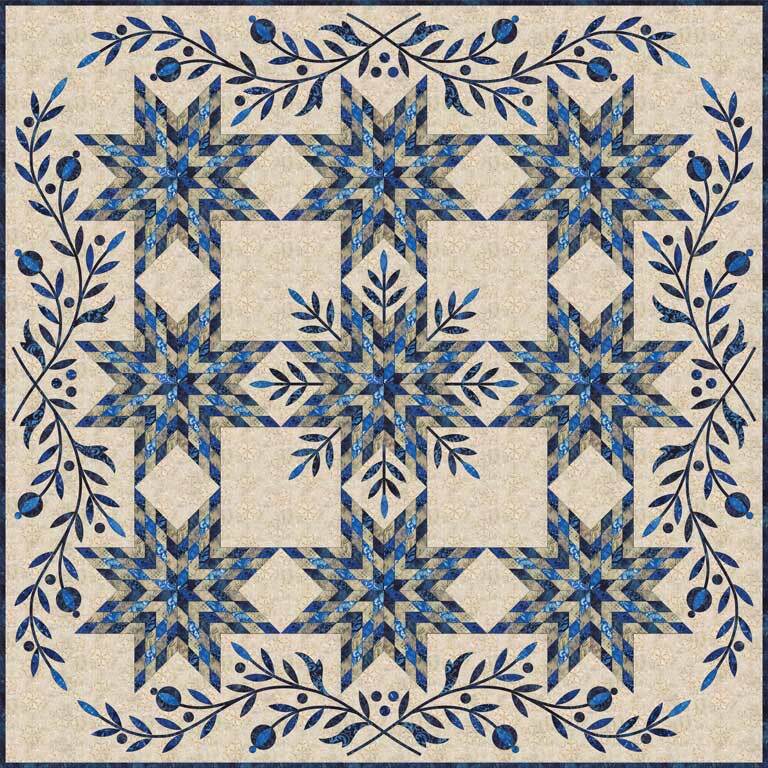 Note: When making selection Quilt Kit has been priced with or without Applique. Note: If you choose to use a fabric 44″-45″ from the Snow Days Batiks Collection 4 yards is needed for backing. Please list fabric item # selection in COMMENT SECTION. Moda does recommend 42070-30. If backing fabric is not specified we will gladly choose a backing of our choice for you. Email juliecrafttown@hotmail.com if you have any questions about this item. This entry was posted on Thursday, December 29th, 2011 at 1:30 am and is filed under Uncategorized. You can follow any responses to this entry through the RSS 2.0 feed. You can leave a response, or trackback from your own site. This quilt is so cool that I can almost feel the snowflakes. This is what we need when the temperature is over 90F, 100F and especially 110F & in some places 120F. My skill level is not up to this as a beginner but I’ll certainly look forward to the cool blue & white – faves, Congratulations on a wonderful quilt. Beautiful quilt! I’ve pinned this – hope you get lots or orders!